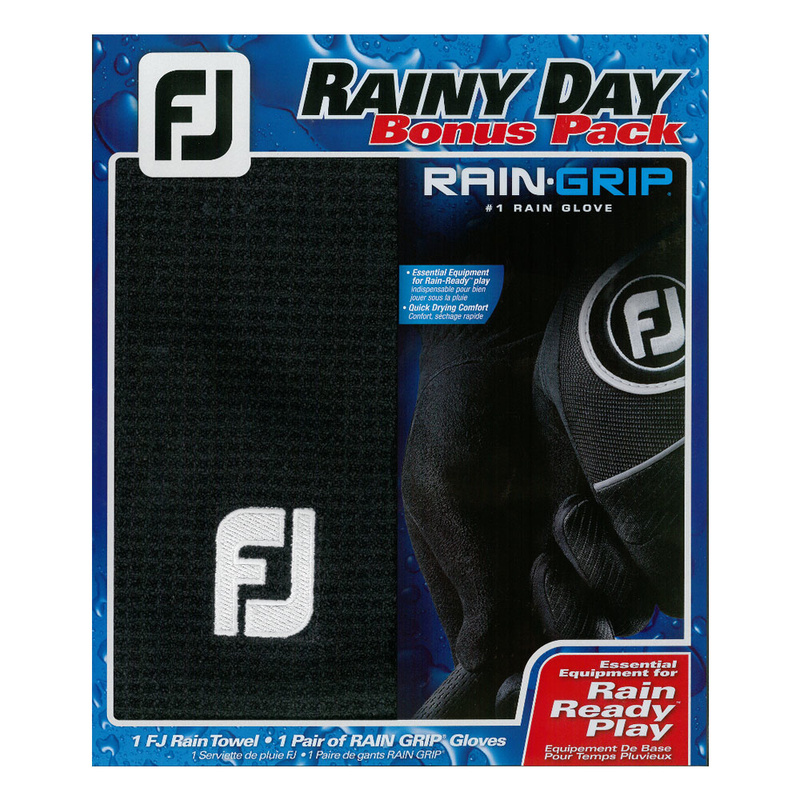 It contains one pair of RainGrip® Gloves which have a Suedemark microfibre palm that provides a soft, leather-like feel during any type of weather condition. However it seems to perform even better in wet or humid conditions, as it conforms to both your hand and club for superior grip and control. 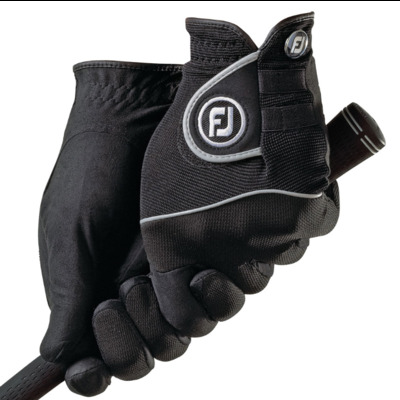 The QwikDry Knit Material along the entire back of the glove, provides optimum breathability, flexibility and quick-drying comfort. Besides getting an optimal grip in wet weather the FootJoy RainGrip® Glove has two elasticized bands running across the top of the glove to ensure it fits your hand better and also means that your hand is free to flex without feeling restricted. The Velcro closure has been added to make it easier for you to slip it on and off. 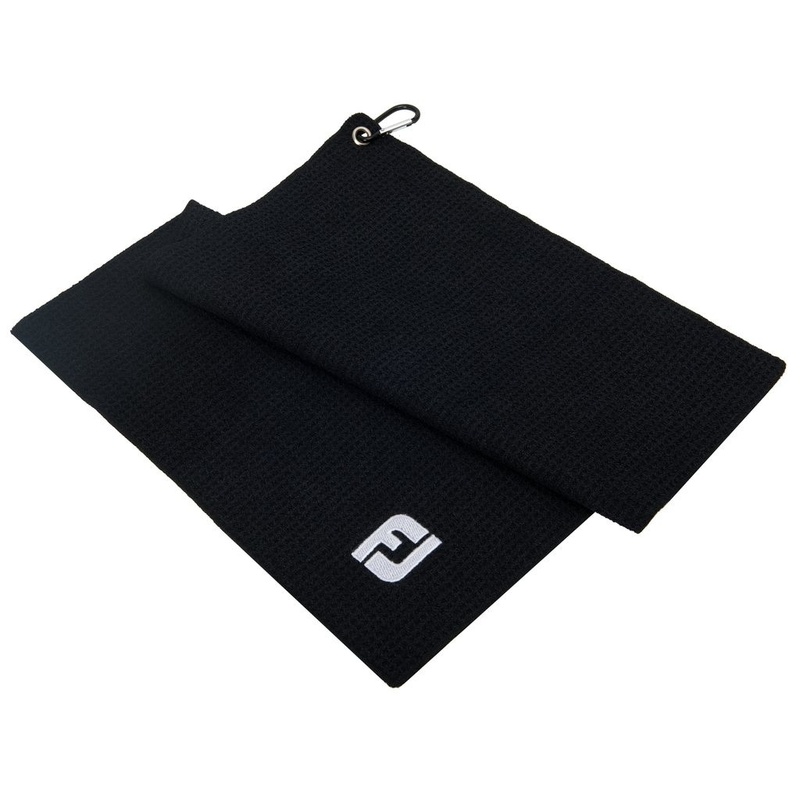 The glove also comes with a ball marker and tee peg attached.